Home / @enjoyglobe / #ChromeCast / chrome / chromebook / chromecast / globe / globe telecom / globe tower / google / google chrome / hdmi / wonderful world with globe / Globe partnered with Google to bring ChromeCast in the philippines. 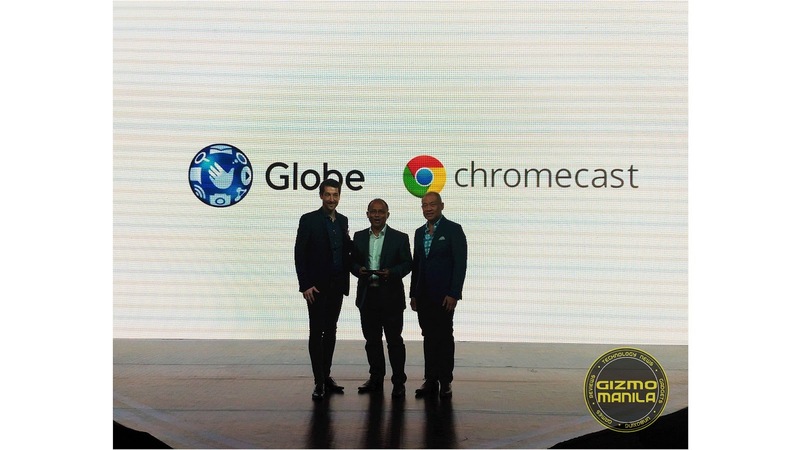 Globe partnered with Google to bring ChromeCast in the philippines. The Countries number 1 mobile brand and purveyor of the Filipinos digital lifestyle Globe Telecoms brings the entertainment experience to a whole new level as it brings Chromecast to the Philippines to offers a new way to stream their favorite entertainment content at home. Officially announce at Globe's Worderful World with Globe 7. 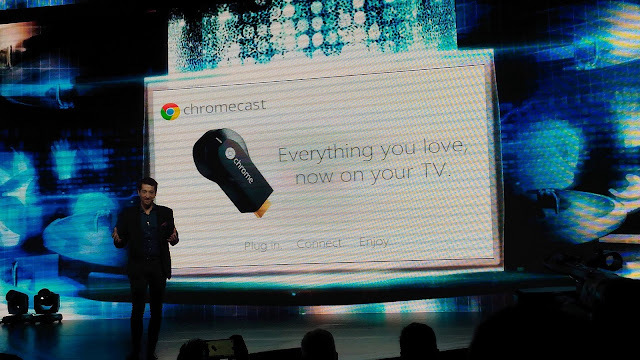 Chromecast is a thumb-sized media streaming device plugs into HDMI port of one’s TV set at home. With Chromecast, customers can easily cast their smartphone, tablet, or laptop to a bigger screen for a better and more inclusive viewing experience. It can also be used as a remote control for your TV, set-up a party at home with the TV set as instant DJ or VJ, enjoy famiy game-time with smartphones as controllers, watch shows that only selected users can hear, and view Chromecast ready apps. Chromecast is compatible with Android devices, tablets, iPhones, iPads, Macs or Windows Laptop or Chromebooks, allowing users to cast their favorite entertainment and apps to the big screen. To use Chromecast, customers can plug in the device to an HDMI TV and a power source, download the app on smartphone device, tablet ot laptop, authenticate the code and click the cast icon on their apps to view content on TV. Big Web Quiz and more. Red Bull TV and more. "We are excited to be working closely with Google to bring Chromecast to Filipinos who are huge fans of everything entertainment from movies, TV shows, sports, games to photos and videos. 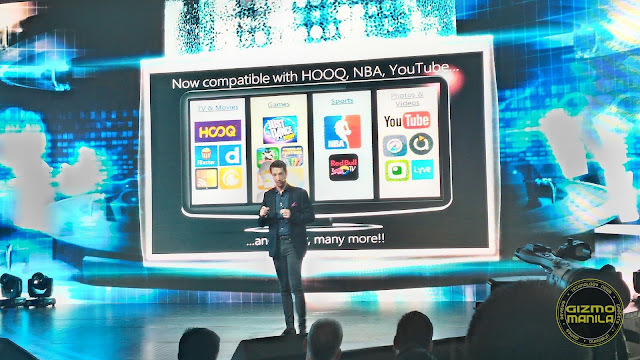 With chromecast our customers get instantly access yo quality entertainment experience at home as they get to see their favorite content and apps from small screen to the big screen” – Dan Horran, Sr. Advisor for Customer business at Globe. 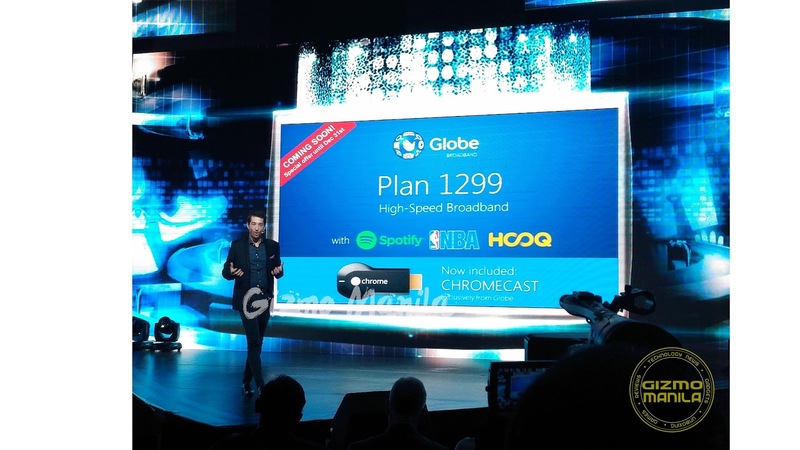 Globe customers can get Chromecast for FREE at Globe Broadband Plan 1299 with Free access to HOOQ as well as home Broadband Plans with free access to HOOQ and Spotify or the NBA League Pass. Meanwhile, Platinum home broadband customers can avail the Chromecast for FREE starting tat Plan 3749 to Plan 9999 with Free access to HOOQ, Spotify and the NBA League Pass. To know more about the offers, visit www.globe.com.ph/chromecast.